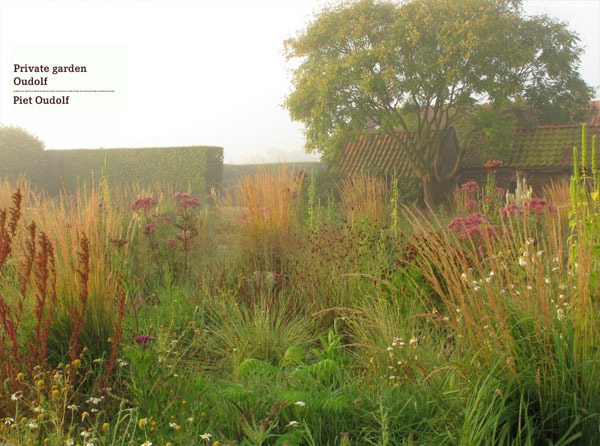 Yesterday Dutch garden artist and landscape architect Piet Oudolf (1944) received a prestigious Dutch prize for his oeuvre. Two videos show why this is more than justified: the registration of his lecture Landscapes in Landscapes: Where Design Meets Ecology (Berlage Institute, December 6 2011) and a Dutch Profile made for the DutchDFA programme. The lecture Landscapes in Landscapes is highly recommended: a beautiful story with beautiful images although the quality of the video is a bit poor. After giving his talk, Oudolf very patiently answers all the questions from the audience. To watch the lecture, click here.